Ross Rattray brings over 20 years of real estate experience to the table. He has successfully bought, renovated and sold properties for himself as well as for clients and investors. 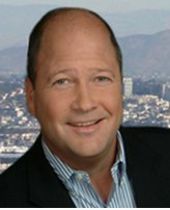 Since he founded ELITE Homes San Diego he has helped his clients realize surprising profits on their home sales using his systematic technique of targeted prepping, intense marketing and skillful negotiating. He has also helped buyers find excellent values in North County and surrounding areas including along the coast. He often instructs buyers on how to update their homes even before they move in to create instant home equity from day one (and meanwhile create the brand new feel that buyers love). Ross is a UCSD graduate and lives in Rancho Bernardo with his wife and two children. He is an active fundraiser for Rancho Bernardo High School, a youth baseball and basketball coach and the former President of RB Little League. Jeff Erwin is a licensed real estate broker and agent. 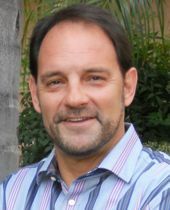 He has over 20 years experience in the real estate industry. He is extremely well versed in real estate law and contracts. Jeff has helped countless families find the home of the their dreams and sold numerous homes for his clients. Jeff's an active father and plays a big part in the lives of his two children, helping out with all their activities..lots of soccer! He lives in Escondido with his wife and two children. Generate all forms in accordance with your purchase or sale agreement. In addition to State required forms, brokerage-specific forms to be added to your file. Review purchase and sale contracts to assure accuracy and completion. Will check for missing signatures & initials. Order Home Warranty, National Hazard Zone Report, Septic & Termite Reports. Track deadlines outlined in the Purchase & Sale Agreement. Alert you to approaching contingency removal deadlines. Keep all parties up-to-date on the status of the file. 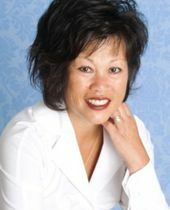 Felicia Rattray is the Client Advocate and Home Stager for ELITE Homes San Diego. As our Client Advocate, she supports our clients through the process of buying and selling their home. Felicia coordinates the process from the initial consultation until moving day. She is there every step of the way to ensure all questions and concerns are addressed, and the transition runs smoothly from start to finish. As our Home Stager, Felicia focuses on the presentation of the client’s home by creating a simple elegance to our listings and impress any buyer from the moment they walk in. Our goal is to sell your home for the highest price in the shortest amount of time and Felicia’s vision makes that happen. Felicia lives with her husband Ross and their two children and is a graduate of University of Illinois. Felicia looks forward to working directly with all our ELITE Homes San Diego clients. 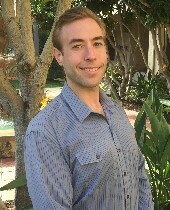 Tyler Callahan is the Sales Associate for ELITE Homes San Diego. He is responsible for generating new leads and bringing new customers into the care and guidance of ELITE Homes San Diego when buying or selling their property. Tyler has many years of Customer Service and Sales experience and always does whatever is necessary to show and ensure the elite quality of care that we take with all our clients. He is a native of San Diego and we look forward to him bringing his cheerful and genuine energy to our team.